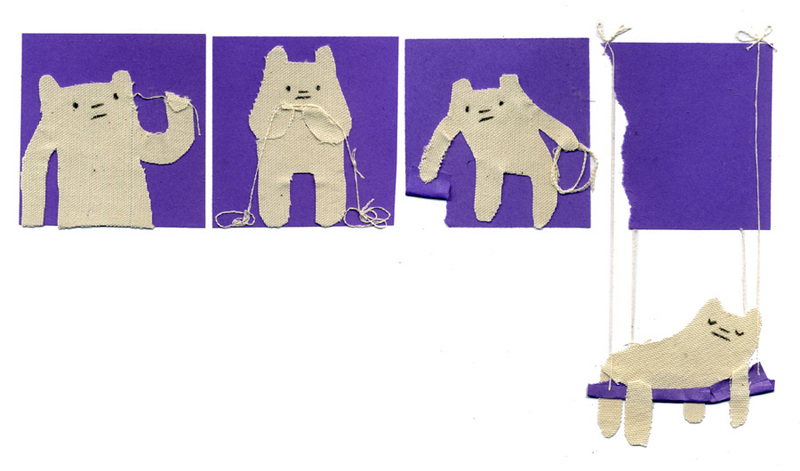 Knotty puller bear unravels; tears up town and sleeps around. i think it was going to fall out anyway. so it was like pulling out a loose tooth! Now that’s what I call using your head! hey, I’ve always wanted a hammock, maybe I’ll try Polar Bear’s idea. polar bear is fond of tearing paper.